There wasn't much anyone could do to stop the water from coming through the vents. 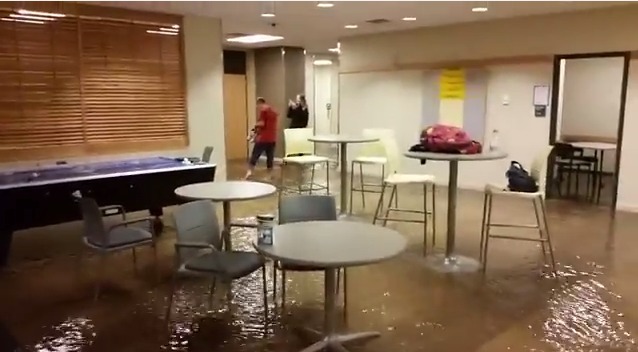 Screenshot from "Flash flood at BYU-Idaho. Manwaring Center flooding!"